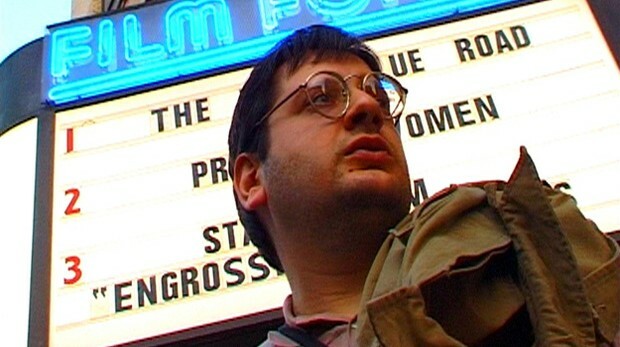 Cinemania is a feature-length documentary about several of the most addicted and eccentric film-watchers in New York, obsessives who watch films daily not merely for pleasure, but also as a psychological necessity. They often cannot hold jobs and are on the verge of poverty, but absolutely must watch films day and night, no matter the cost. These film fanatics have seen 4000, 5000, 6000 movies and written them all down on lists that attempt to collect, categorize and ultimately possess an abstract and fleeting procession of aesthetic experiences. There are some who, in their 40s, still live with their parents; while others live alone and lead lonely lives, relating to life on the movie screen rather than interacting with other people. All of these eccentric film-watchers have passed from having a passion for film to an addiction: film-watching has become an obsession that has taken over their lives completely. The reality outside the dark theater has grown to be almost non-existent; reality has been replaced by the projected images and the engaging fictions of the movies they see. These characters in Cinemania, have clearly crossed over some line and can no longer be considered normal or sane. 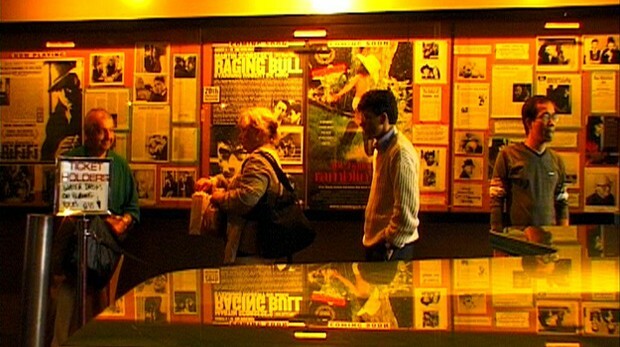 After watching your film, we are ready to cross that line ourselves. The film that best summarized this predicament is Cinemania by Angela Christlieb and Stephen Kijak. 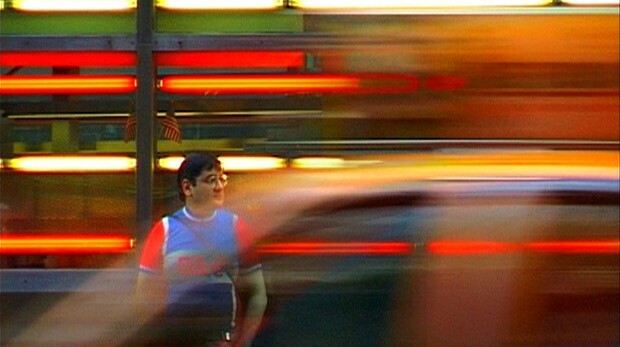 A delightful documentary, Cinemania focuses on several NewYork City film junkies whose lives are completely organized by the principle of seeing as many movies in each day as possible. What at first seems like a harmlessaddiction soon reveals its pathological underpinnings as they scour subwayschedules and plan their lives in an almost obsessive-compulsive thrall of figuringout how to constantly cram in three or four movies every day. If Woody Allen invented these people as characters for one of his films, he’d be accused of gross exaggeration. Bill (who looks and sounds like a young version of Allen) scrupulously washes his glasses before each screening and arms himself with a large bag of peanut butter sandwiches, thermal underwear and pills for “sniffles”, back pains and anxiety. “My psychiatrist told me yesterday I have a compulsion,” he reveals. Highly recommended. But don’t be surprised if you feel like skipping the next film you have scheduled in favour of a nice walk outdoors. And yes, they all wear glasses. Why do you ask? 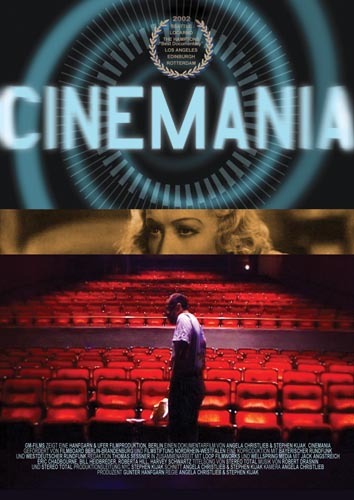 Cinemania is potentially the most disturbing film of the festival, if you see yourself anywhere on the sliding scale between regular film goer and film buff. While all of this very amusing, Christlieb and Kijak aren’t in the business of ridicule. Theirs is a celebratory portrait of people who both love and are victims of film going culture, a film that’s by turns hilarious and saddening. 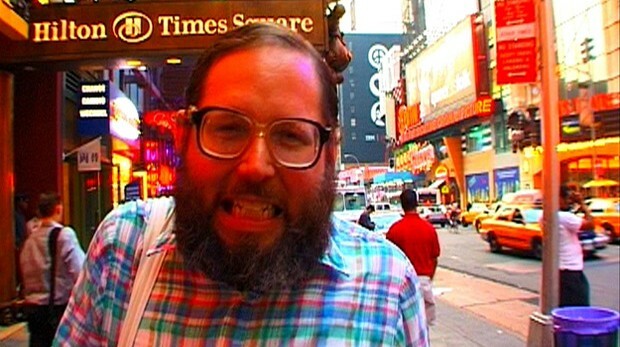 Anyone who’s held on to some movie ticket stubs or secretly plots to kill the person who takes 3 minutes to unwrap a candy bar during a crucial moment in a film will relate to this brilliant documentary film about the psychological compulsions of 5 obsessive cinephiles in New York City. What particularly stands out is how directors Christlieb and Kijak treat their subjects with dignity and respect.. There are moments of gentle humility and open mouthed absurdity. 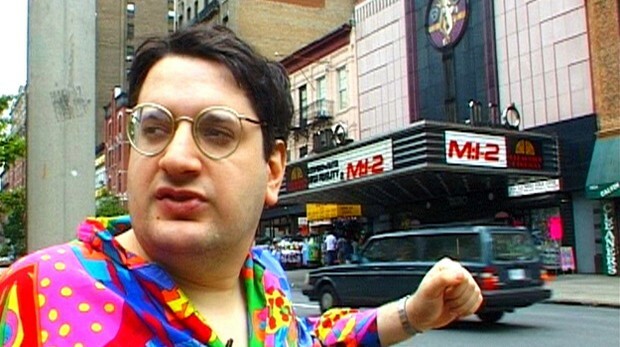 Cinemania isn’t just interesting to geeks and cinephiles but is in fact a message to anyone who has ever collected or cared about something more than they should have. You are not alone. Jack Angstreich has a problem. 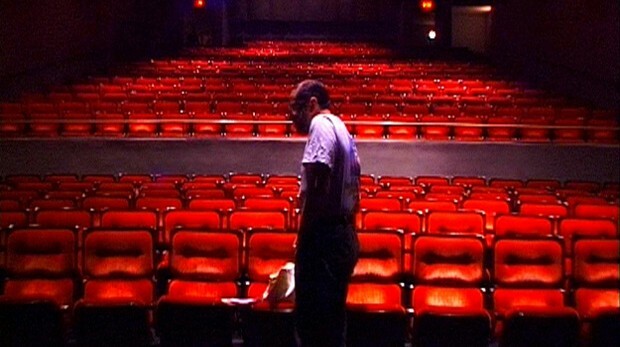 He’s attended some 7000 film programs in the second half of his 32 years, but lately it’s been hard to keep up. Welcome to the world of Cinemania, the forthcoming doc by Angela Christlieb and Stephen Kijak on five of New York’s sultans of sitzfleisch. Anyone familiar with screen-hopping at film festivals can appreciate the importance of bringing along extra sandwiches, a travel strategy to hit as many films as possible, and an occasional change of clothing. 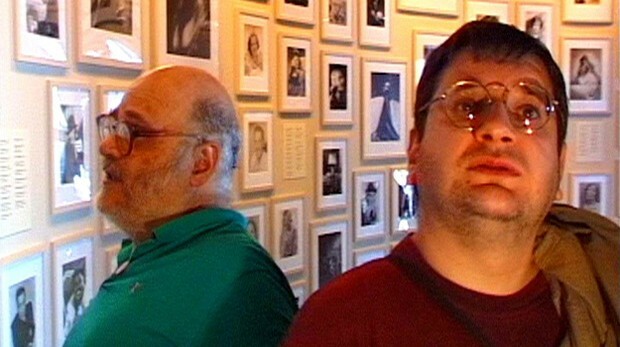 The fantastic documentary Cinemania profiles a group of New York “film buffs” for whom film passes beyond obsession – more important than jobs, day-to-day relationships and the demands of a human bladder. It’s like watching the squalor and insanity of Jackie O’s aunt and cousin in the cult documentary Grey Gardens, as the emptiness of the cinemaniacs’ lives starts to overtake their initial eccentricity. Everyone in Cinemania is such a recognizable New Yorker that ex-residents will share Jack’s indignation at a parade that blocks his taxi’s progress to yet another screening. “What day is today?” he snaps impatiently. We know the feeling.